Paper Crafts by Candace: Jaded Blossom Monthly Challenge - Flowers! Happy Sunday! I hope everyone is having a fabulous weekend. Today is Monthly Challenge day over at Jaded Blossom! This months challenge is to create a project that has atleast two flowers on it. I decided to create this cute little card! 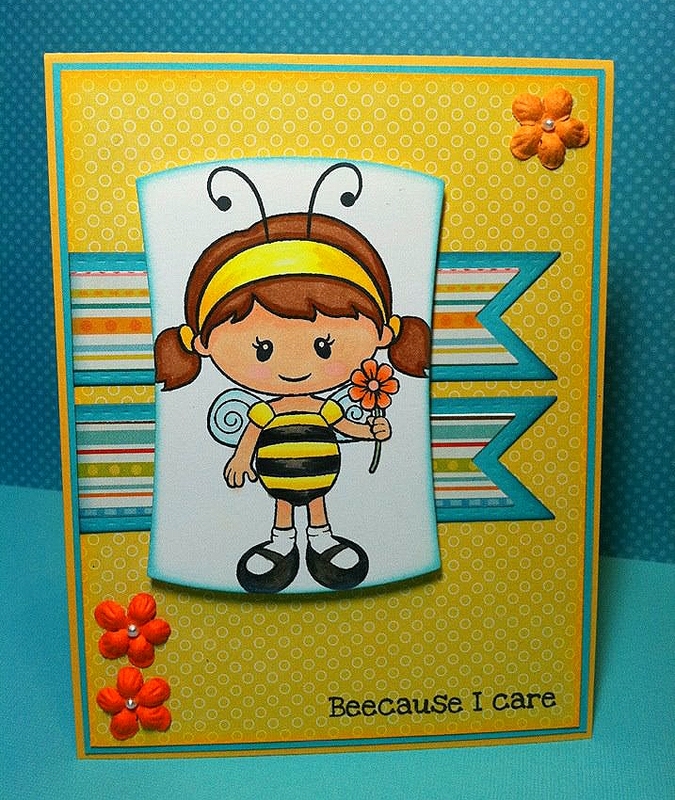 This adorable little bug girl is from Jaded Blossom "Bug-a-Boo" stamp set. I used Copics to color her. "Beecause I care" is also from the same stamp set. I also used the Jaded Blossom flag dies. Thanks so much for checking out my project today! Make sure to go to Jaded Blossom to check out the rest of the designers AND to link up your challenge project! Your little bee card turned out sooo super cute! I love those colors together and your coloring on the bee is so professional looking! oh my, Candace, your card is adorable!! love that image! awesome coloring, too! Adorable card. Love the little girl and the layout of the card.